We all make mistakes, but in the market, you’ve to be very careful of not making any slip-ups. Especially when it comes to logo designing, one has to be very careful about what he’s making, for whom, and how it can affect the people of future. 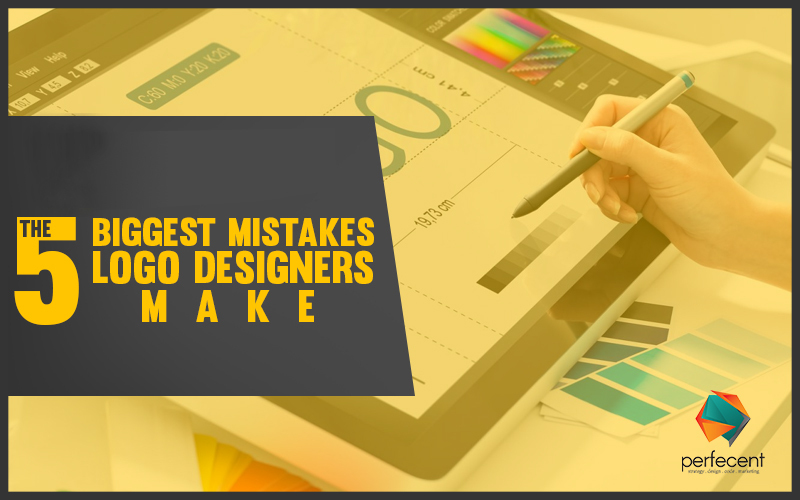 To avoid mistakes that can run down the image of your business one must know at least what mistakes are. The more simple, the more appealing. When it comes to logo avoid adding unnecessary stuff that you think can make your design loaded or difficult to grasp. Simple things are much easier to grasp, memorable, and appealing. On the other hand, I’ve seen many designers putting irrelevant things and giving a messy perception of the logo to their brand’s audience. AOL new logo design is one of the examples of messy and complex design. The logo is like your brand identity. It should be relevant to brand’s persona. To make it relevant just be very careful about your business nature, and brand’s persona. As if your logo does not communicate with your customers or fail to convey brand’s message then it has no use. List down the things your business has, choose the essentials and put them into your logo metaphorically. Pre-made, ready-made or stock logos are temporary solution cannot be used for longer time. The logo should be identifiable, not identical. But in the pre-made logo, the chances of getting a unique logo is very less. Using logo-generators one can easily get a logo, but he/she has to compromise many things. But if you don’t want your logo to be unique, or if it’s just your start-up you can use pre-made logos, but for long-term business, it’s not suitable. The logo is something that will remain interactive for a longer period as your brand’s depiction. Therefore it must possess things essential to deliver ideology of your brand. And for this, you need well-experienced and highly proficient designer who know basic to advanced concepts and designs of the logo. There’re many places like freelancer, Fiverr where you can hire experts to make your workflow easier. Just verify their pre-employment history and all things before hiring. Colors aren’t just hues. They’ve their own representation, properties, and impacts. Interestingly every color has some impacts on human psyche about which designer must know. Study every color and use the appropriate one to represent your brand’s persona. The importance of logo in business is undeniable. If you’ve a right logo for your business representation that interacts customers, it is a big success.